Please make sure you are linking to the new documents that are found in the folder mentioned above. All links should be relative (this means that you can't use a url as the link, but instead, you must directly locate the pdf file in the file viewer in OmniUpdate and link directly from within the system). 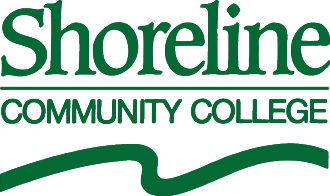 If your page resides on intranet.shoreline.edu, and link to any policies, please contact Veronica Zura in HR at vzura@shoreline.edu for guidance. Instructions for properly re-linking your policy related links to the new documents, if your page is located on Shoreline.edu. 1. Log in to your page that is referencing a policy or procedure. 2. Make sure you're in "edit mode"
3. Place the cursor anywhere in the red-linked text (do not highlight the text, simply place the cursor so that it appears somewhere in the linked text (after the first letter is fine). 13. Click the blue insert button in the bottom right corner of the file navigation window.